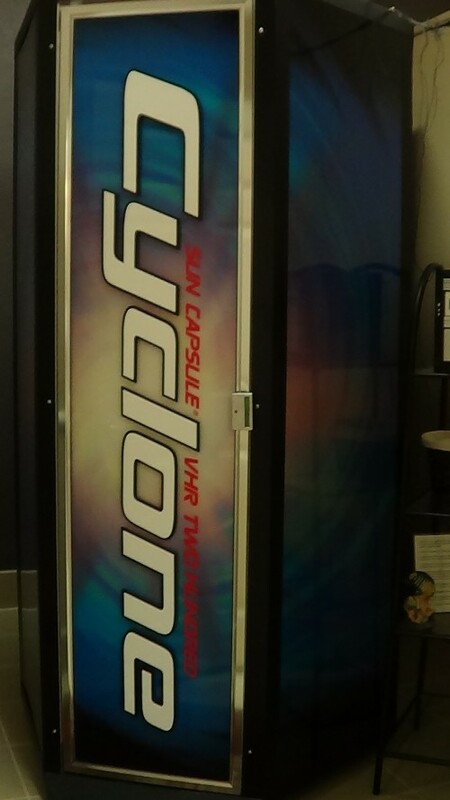 The Cyclone is a stand up tanning booth with the perfect combination of UVA and UVB rays which will get you over your tanning plateau in a 9 minute session. Gold Membership includes Cyclone, Cyberdome, Premiums, Legacy and Entry level tans for only $34.95 a month! *12 month contract required. The Cyclone is the perfect plateau breaking 9 min stand up booth.